"A sunny day at@cedarcreekwine. 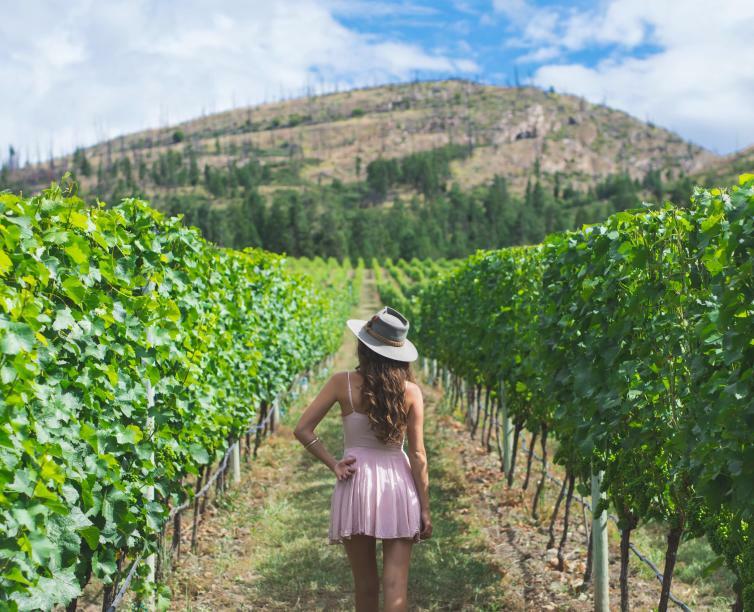 With Kelowna’s acres upon acres of vineyards, orchards and groves, it’s easy to spend the day getting lost among the endless rows of green. Afterward, we like to find our way to the tasting room." 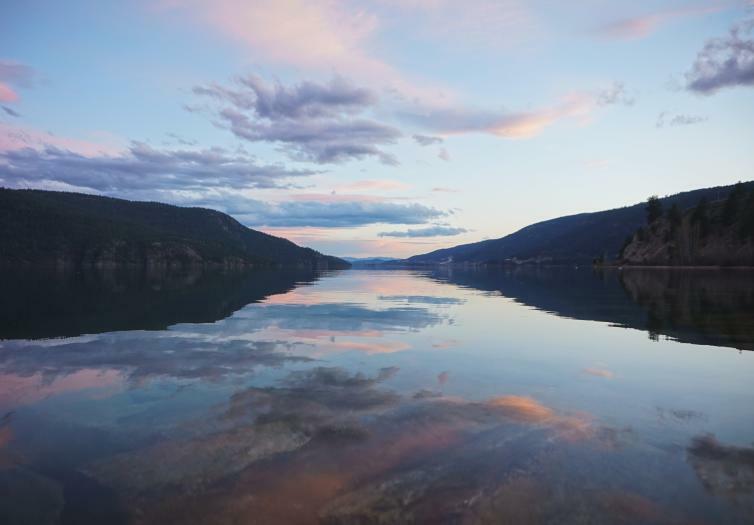 "Cotton candy skies over Kalamalka Lake." "It’s been said before, but I’ll say it again. There are few better ways to experience this city than by bike. 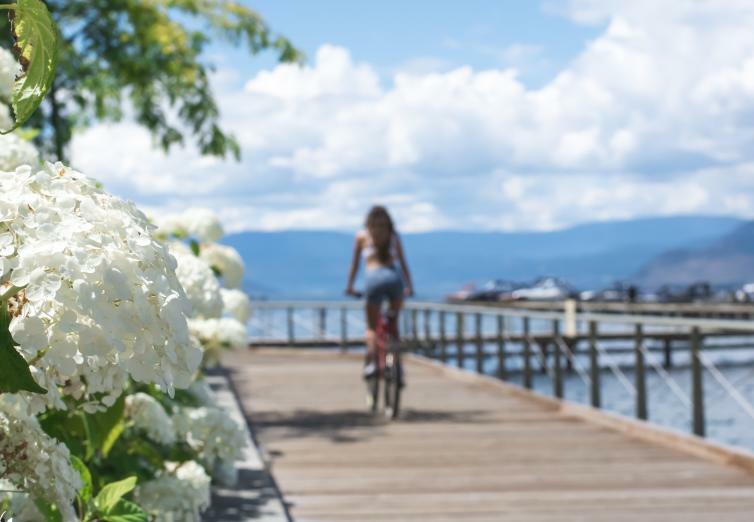 The boardwalk from Rotary Beach to @eldoradokelowna boasts beautiful flora and unmatched lake views for a leisurely half km." 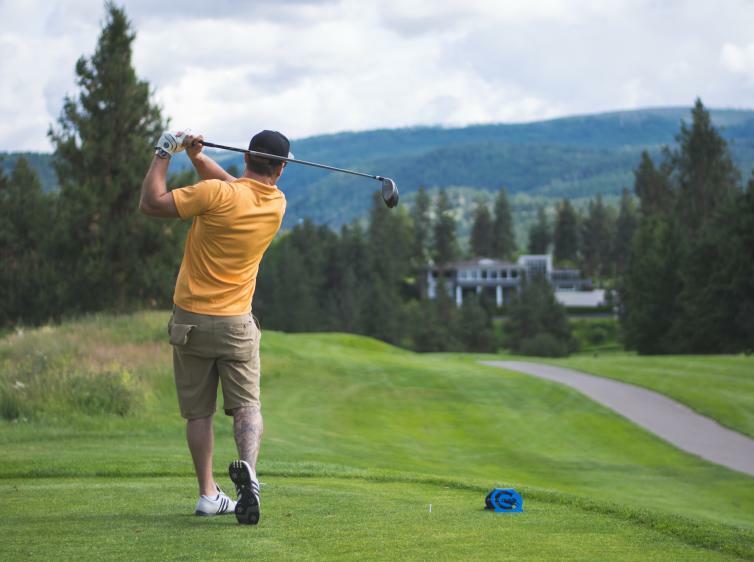 "If you’re not here for the wine, you must be a golfer. 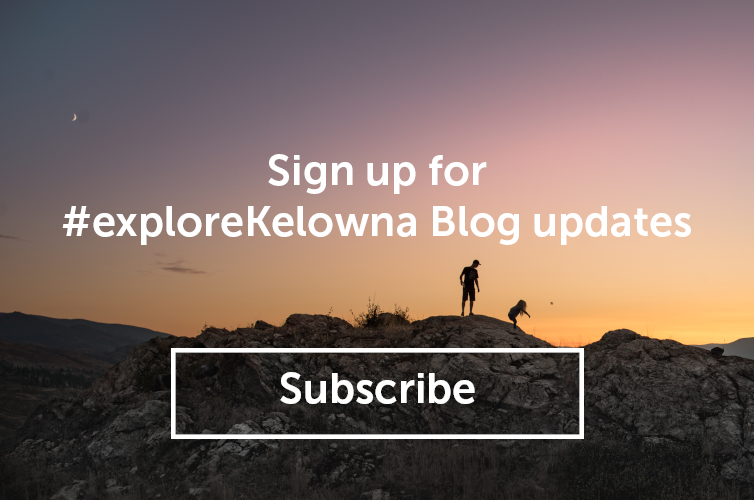 Kelowna has something for every level of experience. The views alone make Gallagher’s Canyon a must see on any summer to do list." 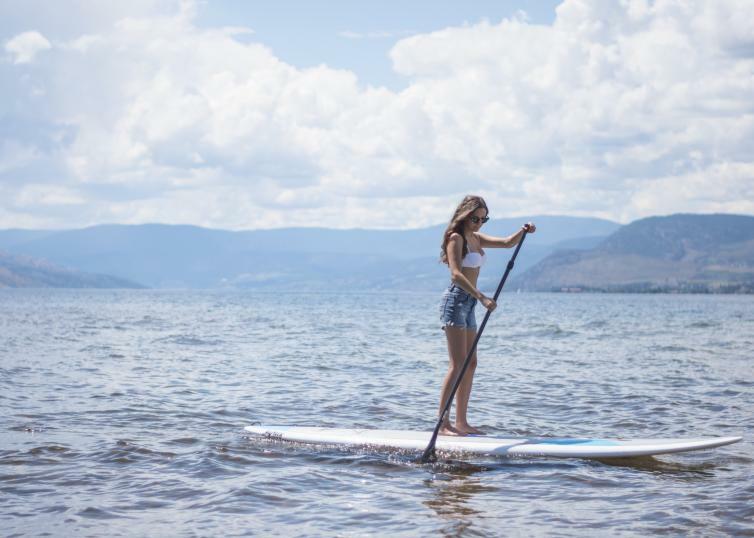 "Stand up paddle boarding is just one of the many exciting water sports to try this summer." "What’s an adventure without an adventure hat? Here’s another ideal lookout along the KVR. 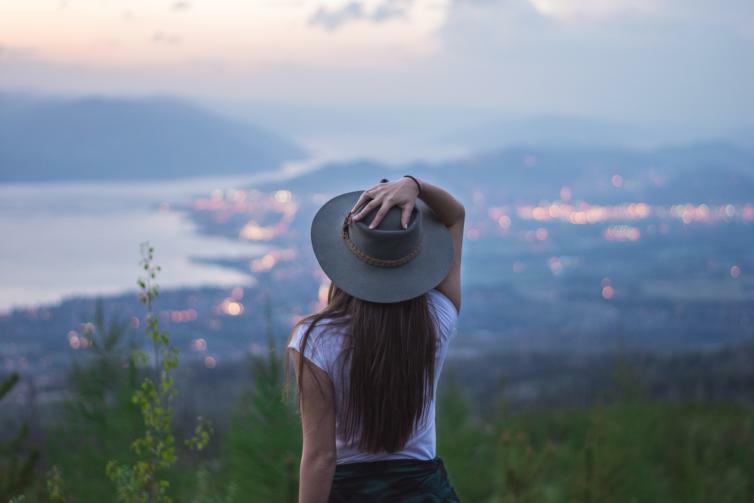 With the soft glow of the city below, this is my favourite place to be when the sun sets and those famous Okanagan hues light up the sky." "Knox Mountain is very photogenic. There are several trails to explore and difficulties range from moderate to challenging. With each lookout slightly more scenic than the last, your arrival at the top is the most rewarding of all. " Below is a bonus images not shared on Instagram! 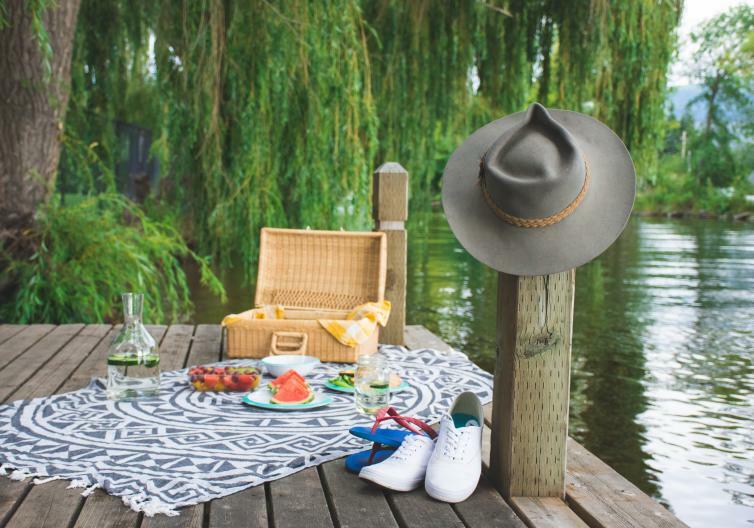 "A creek side picnic is the perfect setting to enjoy the abundance of fresh fruit from the Okanagan Valley. Just past this dock where Mission Creek meets the lake, you can find “Hidden Beach”. However, I recommend waiting a few weeks. With current water levels, the beach truly is hidden." Hello! 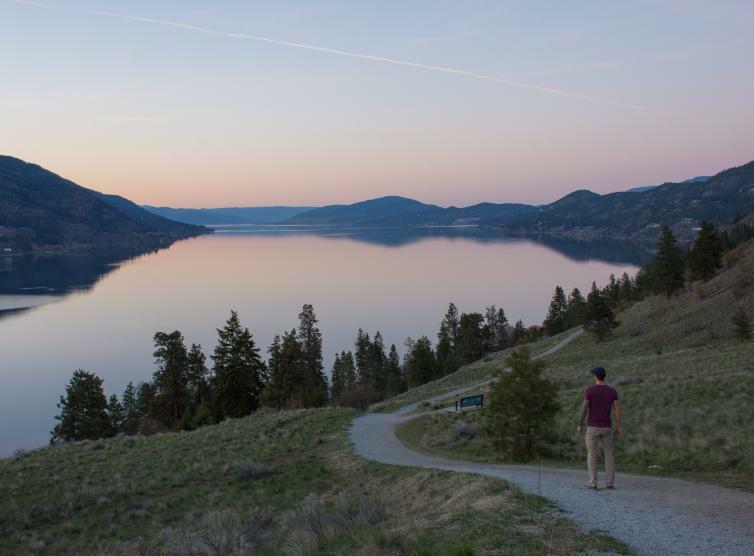 I’m Colin, a UBCO graduate, and I was lucky enough to be born and raised in Kelowna. My interest in photography really took off in 2015 while backpacking through Australia and South East Asia for the better part of a year. Once home, I felt I was seeing Canada through a whole new lens. It’s for that reason that I spend all of my free time exploring Kelowna’s outdoor playground. I’m excited to showcase some of the scenic wonders our city is known for and a few hidden gems of my own. Cheers!